At Blackmore and Roy, we stock Gutermann, Madeira, Brother, Dortak and Royal thread in hundreds of colours and varieties! Find the perfect shade for your piece in our online catalog. 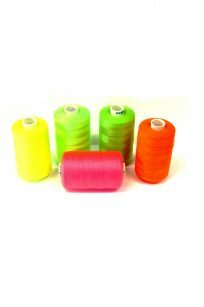 Dor-Tak spun polyester threads, perfect for overlocking in a wide range of colours. The Gütermann creative Sew-all Thread is the correct sewing thread for all materials and seams. 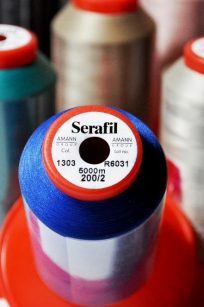 It is exceptionally suitable for stitching with the sewing machine and by hand, regardless of the stich type – the Sew-all Thread is designed to handle all demands. As the Gütermann color range spans almost 400 shades — some not always in stock — it will be necessary for you to contact our store to complete your order. Please contact us for more information. Gutermann Natural Cotton Thread is the ideal thread for all sewing projects by machine and hand. 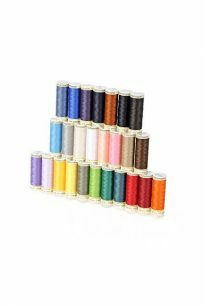 Manufactured from 100% cotton, this thread has strength and colour fastness. 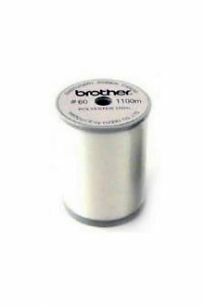 Select from our complete range of Brother polyester threads. 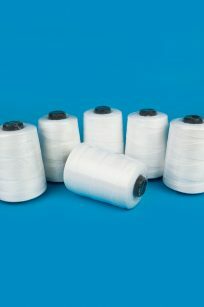 White, 60 weight bobbin fill with continuous filament polyester, virtually lint-free and the perfect weight for any sewing, quilting, or embroidery project. 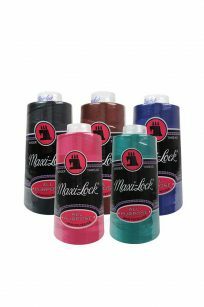 Maxi-Lock thread is TEX-27, 100% Polyester, and each spool contains 3,000 yards. Please note: Whilst we regularly keep a decent amount of threads in stock, occasionally there may be small delays of 3-5 business days to fill your order. 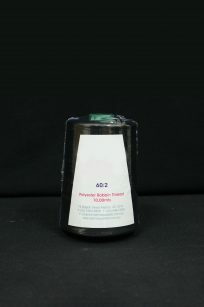 Black, 60 weight premium quality bobbin fill with continuous filament polyester, virtually lint-free and the perfect weight for any sewing, quilting, or embroidery project. 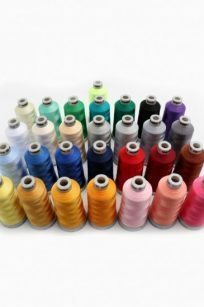 A 100% rayon product, Royal Rayon high sheen viscose thread offers optimum sewing performance and a superior finish, and is considered by many to be the best rayon embroidery thread available in the market. Although every effort is made present embroidery colours authentically, monitor models may account for slight variations from the colour shade of the final product. Spools are 5000 meters in length. 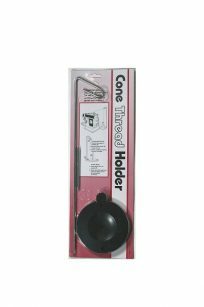 Pay only $9.90 per cone with postage and get it posted direct to your door! Email or call now for our special discount deal. No ABN needed! No conditions apply! Colours are listed in numerical order, digits 001 through to 1000. Produced from wood cellulose, a natural fiber, Classic Rayon gives a lustrous, subtle sheen for a classic, high-end look – Choose Classic Rayon for subtle results with low key luster. The Classic 60 plain colour selection is perfect for monogramming and fine lettering. Online complete colour swatch guide available. Spools are 1500 meters in length. 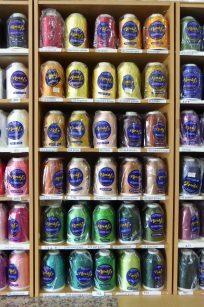 Cameo thread is a high lustre, heavy rayon yarn for bobbin work, cross-stitch, overlocking and more. It has a low twist giving a high lustre finish. 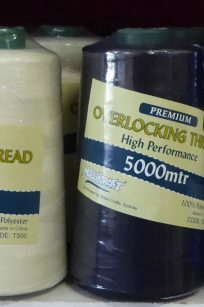 This thread bulks out after stitching to fill the gaps between stitches for full coverage in decorative edge stitching or in flatlock. 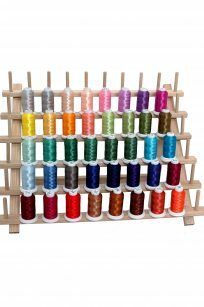 Royal's Variegated thread range can really make your sewing and quilting projects stand out! 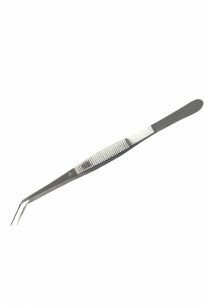 Ideal for blind stitching, blind hemming, monogramming, and other fine sewing work. 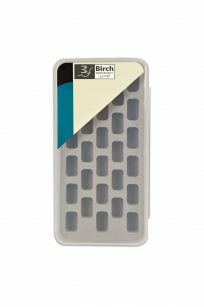 Please Note: Whilst we regularly stock the shades White, Black, and Grey, other colour shades may have to be specially ordered with an ETA of 3 – 5 business days. If visiting in-store, please call beforehand to avoid disappointment. 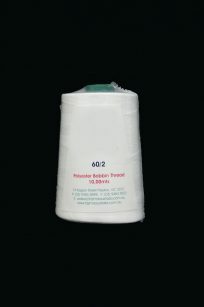 White bobbin fill for sewing and embroidery machines. 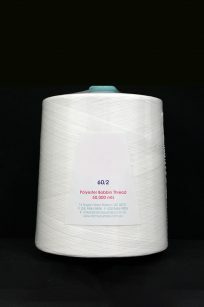 Bobbinfill (White) best suited for Embroidery ONLY Machines. 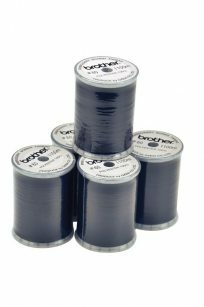 5 Spools of black bobbinfill. 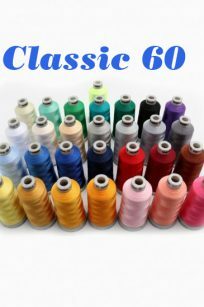 White, 60 weight premium quality bobbin fill with continuous filament polyester, virtually lint-free and the perfect weight for any sewing, quilting, or embroidery project. 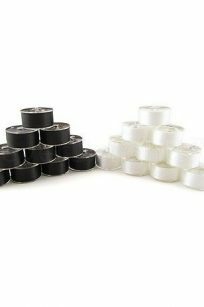 Prewound bobbins are wound by high-tech machines which provide a smooth, uniform wind. The result is much more thread on the bobbin than a self-wound bobbin. Whether you’re in the middle of an embroidery design or a quilting or sewing project, having to stop to change the bobbin is always an inconvenience. Skip the drama with prewound bobbins! Box of 6, polyester white bag closing threads. -20s, 250 gram 6 ply weight. Approximately 1400 meters per cone. Unit price $9.95 each.